Reinventing Organizational Design and Structure is a 2-day comprehensive program that will show you how to make smart design decisions in designing your organization structure to enable complex strategies to be executed effectively in today’s competitive environment. You will learn how to set up business strategies and management processes to align its accountabilities effectively in the matrix,and how to engage the right people in implementing challenging organizational changes. Led by Paul Gustavson, international thought leader and author of two bestselling organizational design books, Paul will show you five key models and tools used to design and transform organization for superior performance starting with the organization’s strategy. 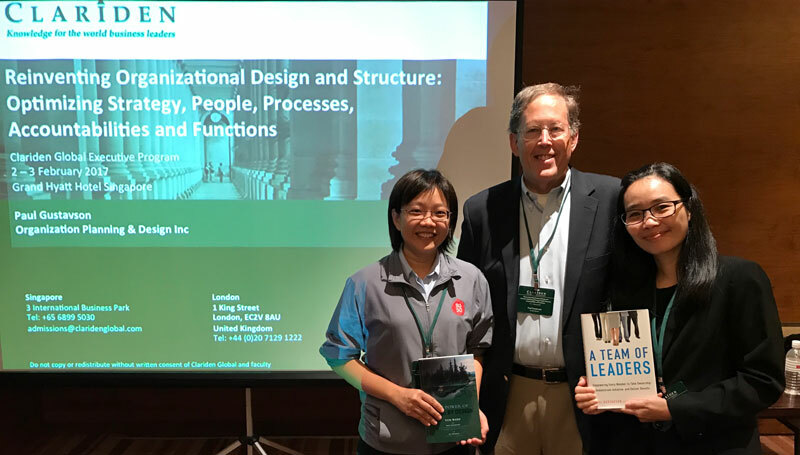 You will also grasp the knowledge on proven Organizational Design Model to influence your organization’s culture and design high performance organization. Presenting new frameworks, concepts, and tools that examine how world class companies have tackled today’s design challenges, this program will provide new ways of thinking about design as well as a coherent way to organize existing knowledge about the field. It is an essential program for HR leaders who want to make better organizational design and structure.